Everyone who owns and operates a registered vehicle in Florida is required to have Personal Injury Protection (PIP) insurance. According to Florida Statute § 627.736, for a person to be eligible for PIP medical benefits, those injured in a motor vehicle accident must seek initial services and care from specified providers within fourteen (14) days after the motor vehicle accident. Medical benefits up to $10,000 are available for “emergency medical conditions” diagnosed by specified providers, and up to $2,500 for non-emergency medical conditions. In addition, the law specifically excludes licensed acupuncturists and massage therapists from being reimbursed for medical benefits. Chiropractors cannot make the determination that a patient has suffered an emergency medical condition but are authorized to provide treatment to PIP insureds. The insurance companies hate to lose. We all know that. In PIP they complain about fraud and Plaintiff attorneys all the time without ever mentioning the enormous premiums collected. But one thing is certain – insurance companies are always looking at the bottom line. Over the years, insurance companies followed one version or another of “delay, deny, defend”especially in PIP. It is simply the same pig but with different dresses. The routine defense in PIP was to win on the pleadings not with juries. However, many insurance companies began to believe that the judges who decided the cases on the pleadings were largely selected by the Plaintiff’s Bar. This belief was supported by selective background research and typical corporate thinking. As a result, a new strategy emerged. If, as the insurance companies believe, the judges are Plaintiff attorneys at heart then the only course to take in PIP defense is jury trials. Time was that many PIP cases would resolve after a Summary Judgment hearing. 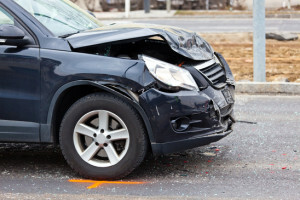 But the new trend has been to identify and maintain a “question of fact” in the defense of the case just in case the insurance company’s Summary Judgment was denied. This enables the defense to force a jury trial if they so desire. Of course, getting to trial takes time and over that time the insurance company keeps the money. While the very existence of PIP has been brought into question, the fact remains PIP still exists and there are a lot of PIP cases waiting to be tried. Unless someone forces the issue and takes these cases to trial, the insurance companies will keep their money and benefits will remain unpaid. That just isn’t right. At the Wolfson Law Firm we know PIP and we try cases. The Wolfson Law Firm is available to represent individuals or healthcare providers in any PIP claim. We can also act as trial counsel on any PIP litigation in Florida with very few restrictions. We can step into a case at any time from the filing of the Complaint up to a week before trial. We will work with your attorney or simply take over the case to verdict or successful resolution. The Wolfson Law Firm LLP will never interfere in the existing relationship you have with the client and we will put it in writing.